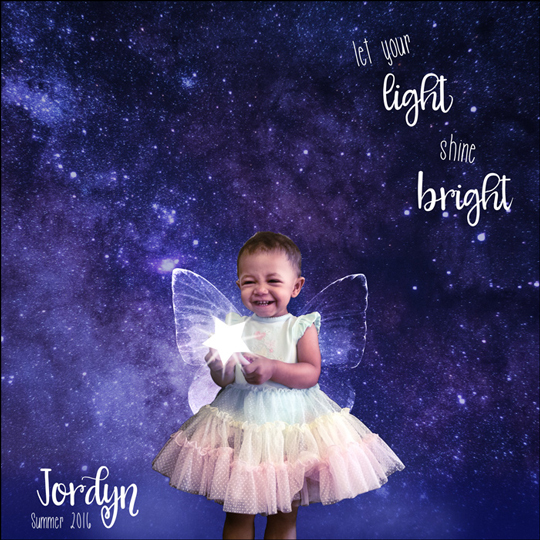 This month’s Premier is packed full of tutorials on how to create beautiful images with an artistic flair! If you’re not a Premier member, this class will be available as a regular class in the near future. ==>> See who won below. 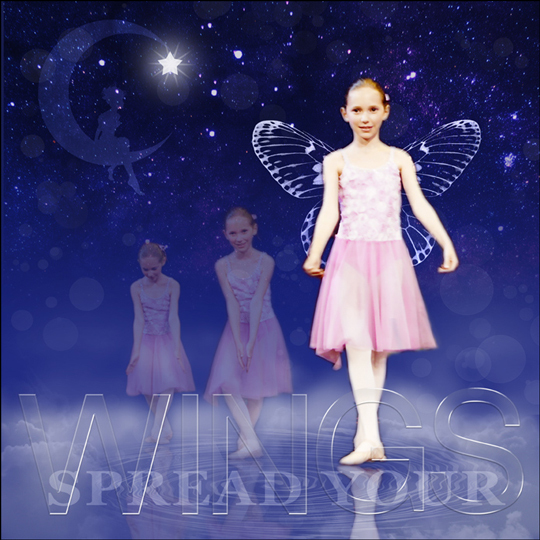 As part of the October 2016 mini class, members will receive video instructions on how to create Fairy Wings. 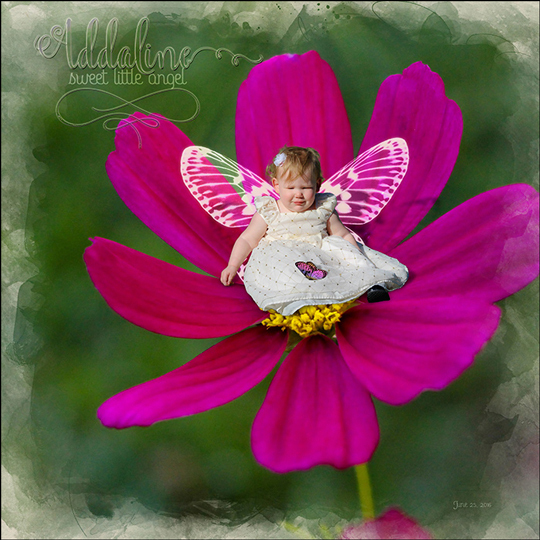 With this information in hand, we are challenging you to join Linda and her Creative Team as they focus in on creating pages for the Fairy Wings Challenge. See the Challenge Guidelines below. Current Premier members: Log in to the October 2016 Premier Classroom. All others: We’ll be releasing this as a class in the near future, if you’re interested in this topic. 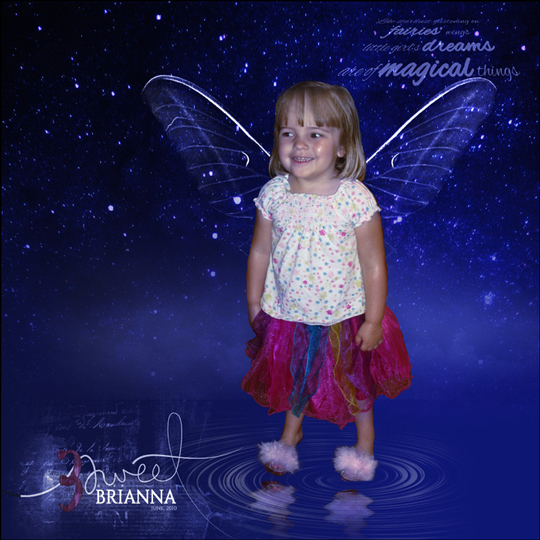 After viewing the Fairy Wings video, create this look on a scrapbook page. There is no limit to the number layouts you can enter into the challenge. All entries must be received by Sunday, October 16th, 2016, 10 PM Eastern. 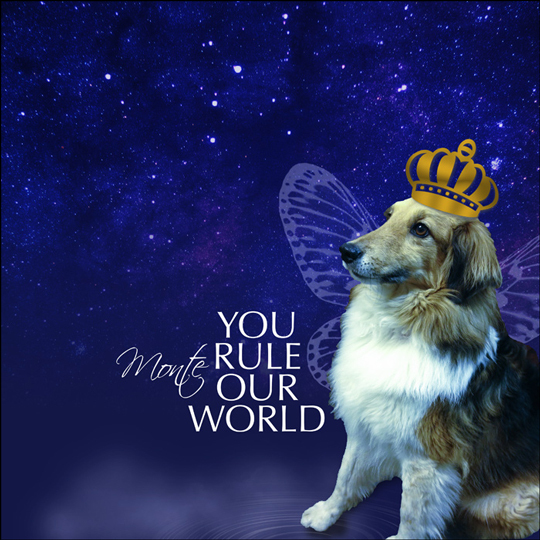 Don’t forget to add credits for the photo(s), supplies, and font(s) used. While you are there, leave some love and encouragement for other entries. 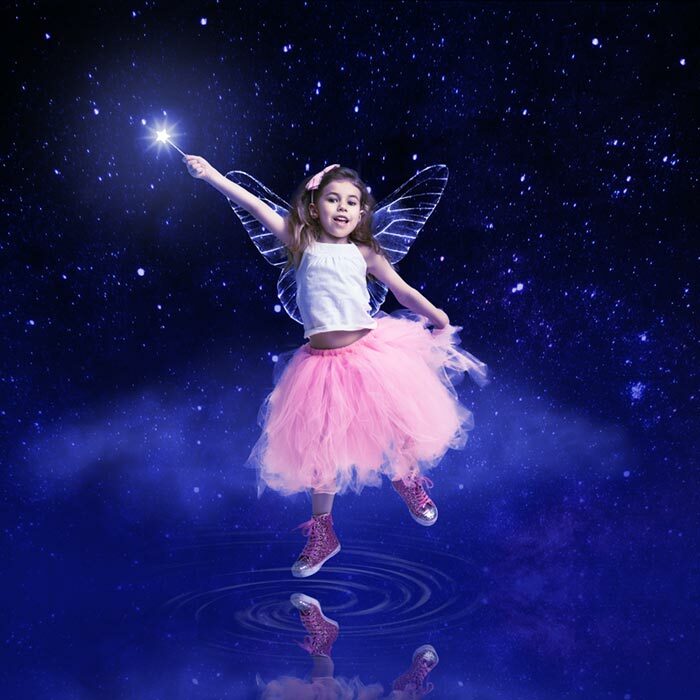 We’ll be watching the challenge gallery for entries containing creative creation and application of the Fairy Wings technique. 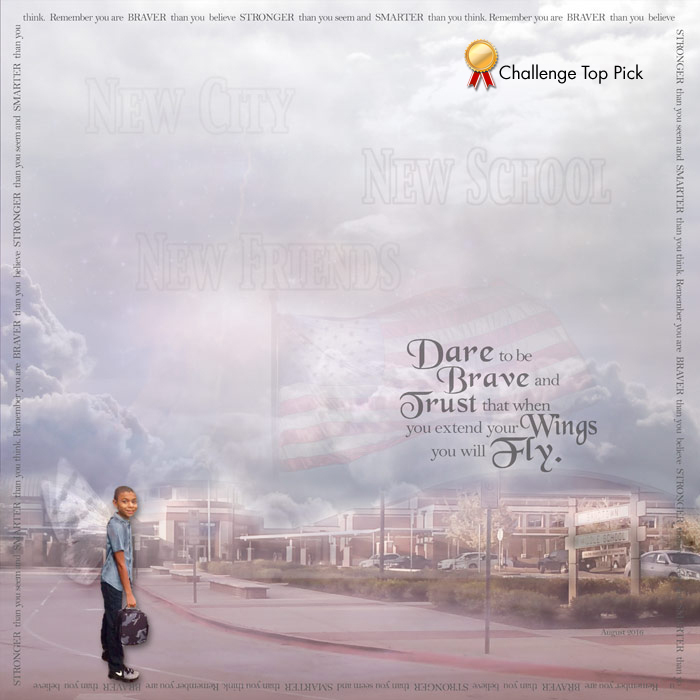 One entry from the Challenge Gallery will be chosen on October 17th, 2016. The winner will be notified shortly thereafter via email (the email used to log in to the Digital Scrapper Gallery) and will be announced in the Digital Scrapper News. The winner will receive a $10 one-time-use gift certificate to be used toward an existing or future class at Digital Scrapper. Note: All challenge gallery entries will be moved into their respective Member Galleries two weeks after the winner has been announced in the newsletter. 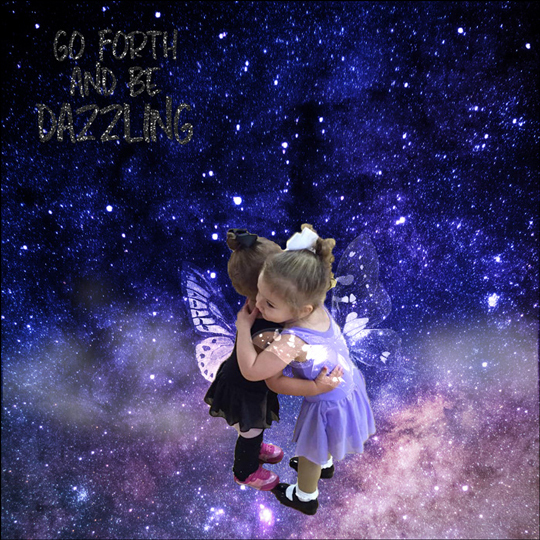 Dare To Be Brave by plm1 is a masterpiece to behold and is this month’s Fairy Wings Challenge Top Pick. 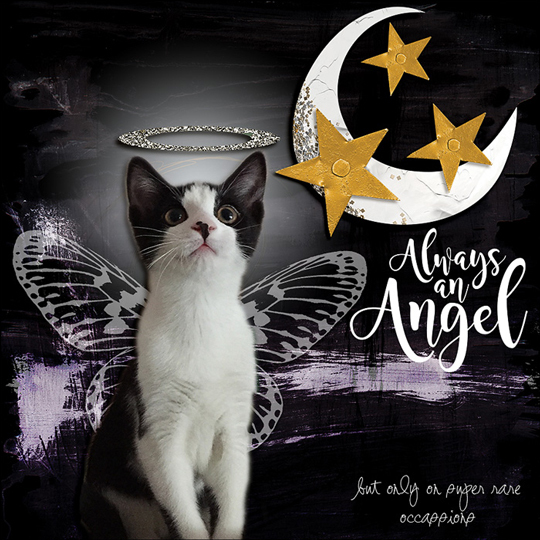 This scrapbook page displays outstanding composition, flawless blending, and perfect execution of the Fairy Wings technique. Well done, plm1! You will be receiving a $10 gift certificate from Digital Scrapper Classes. We hope these pages inspire you and we can’t wait to see what you create for this challenge! The winner so clearly captures the essence of and the virtues that “fairy wings” imply, as well as grabs the heart of any Mother as she watches her child walk out the door each day on his or her own wanting to believe that they have packed enough into his/her short life to protect and propel him/her through his/her day and then on to the rest of his/her life.Thank you pln1 for stirring up the cinders under the pot and reminding us just how strong they must be when they face their life with out you.